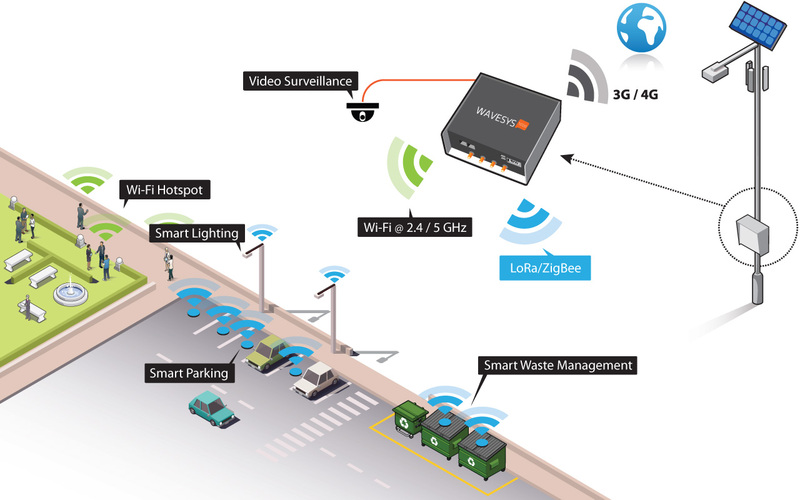 Wavesys is a flexible solution for communications gateway on IoT and Smart City applications. Wavesys is a flexible IoT gateway for Smart City applications, by providing several communications interfaces in a single box: 3G/4G, Wi-Fi, ZigBee, LoRa, 6LowPAN. It guarantees redundant and diverse wireless communications interfaces.